In need of some woodwork? 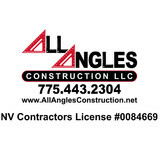 Chances are you’ll want to hire a Reno, NV carpenter. Carpenters work with all types of wood and can specialize in many different areas, including framing, finishing and custom-made furniture. Make sure you choose the right Reno carpenter for your job by asking plenty of questions, viewing their past work and reading reviews. 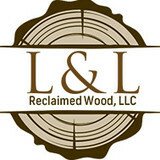 L & L Reclaim Wood, LLC was founded in 2013. While building a custom home with our partner company, J & S Custom Homes, we noticed a lack of selection and quality in the reclaimed materials that were available. We identified the need in the area for quality reclaimed wood and quickly realized that hand picking materials was the best way to ensure customers receive distinctly different material from anything else that is on the market. Over the last five years, L & L has been privileged to work on notable projects such as Lot 1 of Martis Camp in Lake Tahoe and numerous businesses and commercial spaces. We are currently building custom homes in Donner, CA. We are proud of all of our work. Our initial house has been featured in several industry publications and we were thrilled to be a Pottery Barn finalist. Brandon Eller Woodworking specializes in custom woodworking and provides incredibly creative design for a large range in custom furniture, built-ins, cabinetry, desks and tables. The attention to detail and passion for creativity translates into his clients' dream furniture for their home. Brandon is also skilled in Japanese Carpentry and timber framing. He is passionate about the process and even works with traditional Japanese tools to create these one-of-a-kind pieces. At Brandon Eller Woodworking, our passion is the challenge of creating custom pieces and heirlooms that families will enjoy for generations to come. We can not wait to work with you! Finishing Touch Carpentry supplies its clients with unparalleled knowledge and the finest craftsman the basin has to offer. Tackling any project from simple kitchen/bathroom remodels, to complete wood working/finish packages on luxury homes. Finishing Touch prides itself in having the finest "in-house," local craftsmen who have been perfecting their carpentry and cabinetry skills on some of the most demanding projects the Tahoe basin has to offer. Finishing Touch Carpentry can handle any design, cabinetry, carpentry, countertop, repurposed lumber, furniture, hardware, lighting, mantel, or other woodworking need. We are a family owned business who believes in offering an exceptional client experience. We promise to communicate throughout the entire project, complete your project on time and on budget. I focus on interior remodels and custom cabinets/built-ins. Custom Anything! If you can dream it, I can build it! I am a former licensed General and Flooring Contractor with over 20 years of Professional experience, and background in Engineering. If you have an unordinary or complicated project in mind- that's great, because I love challenges! I love creating things that are unique and one of a kind, and I'm really good at it, because I actually enjoy what I do! I turn ugly old houses into modern beautiful homes. You can hire me for consultations, inspections, evaluations and design; or for custom creations, be it a home office, a game room, a Sauna or a personal space. I'm a perfectionist, I do care about the end-result, and therefore I do charge accordingly, because "Champagne" Quality cannot be achieved on a "Beer" Budget; after-all, we do get what we pay for... So, If you demand American Quality, efficiency and attention to detail- I am your guy. Please check out my Remodeling Blog to learn more, see pictures and watch videos, and do contact me with any questions. Let's see what we can create! Dan. Here at West Coast Custom Furniture & Finishes we specialize in all areas of finish carpentry, With over 25 years of combined experience we pride ourselves in being able to provide the best quality work at some of the best prices in Northern Nevada. Call us today and let us help you bring your next dream or idea to reality. Custom Design Woodworks, Inc. is a family-owned business specializing in the manufacture, pre-finishing and installation of custom cabinets and woodworking for homes in and around Lake Tahoe. We pride ourselves in being easy to work with, for both the full-time resident and the absentee home-owner who wishes to remodel their home or build something new. As a contractor licensed in both California and Nevada, we can provide you with as much or as little assistance as required to make your project run smoothly. We make every effort to plan and prepare our projects so when we arrive at your home, we are in and out as quickly as possible, usually in just a day or two. Our work is evenly split between working directly for homeowners and as a subcontractor, working for a general contractor. Nearly all of our work comes from referrals or from repeat business from the many local contractors and interior designers who consider us their "cabinet person". At Custom Design Woodworks, Inc., we are proud to create a beautiful and well made Lake Tahoe cabinet that is unique to your home. We also offer through and courteous installation services as well. 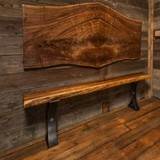 Rustic Mountain Designs specializes in Reclaimed Wood. We have a showroom located in Sparks Nevada and offer wall coverings, signs, furniture and much more. Our Mission Our teams of dedicated carpenters are here to make sure that your home projects get done in a professional way and in a timely manner. Our Story If you want a quote from Gabil Construction, contact us. Gabil Construction has been in business since 1993. Since then our teams of skilled carpenters have been servicing the needs of home and business owners alike. We look forward to hearing form you so that we may be able to help you with your home improvement needs. Victory Woodworks is distinguished by its skill, honesty, and reliability. At each stage in the life of a project, from bidding through installation, we apply the same precise attention to detail and follow through. Each project manager works closely with their clients to completely understand the requirements of the project, carefully monitoring the progress of the job. Shop drawings are produced by our staff of draftsmen, providing detailed CAD drawings of the project, our cabinetmakers build the product to specifications, and experienced carpenters provide installation.